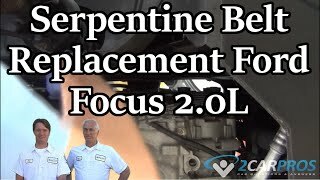 Easy step by step repair guide on how to replace an automotive serpentine belt tensioner, configuration may vary, but the steps will be similar. Begin with the vehicle on level ground, engine cold (off) in park with the emergency brake set. 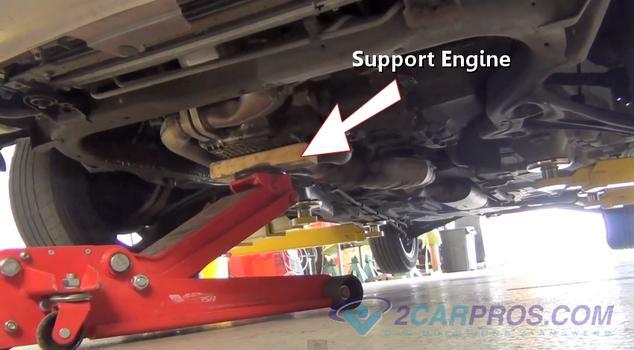 Step 1 - To begin, some front wheel drive vehicles need to have the engine supported before tensioner removal. 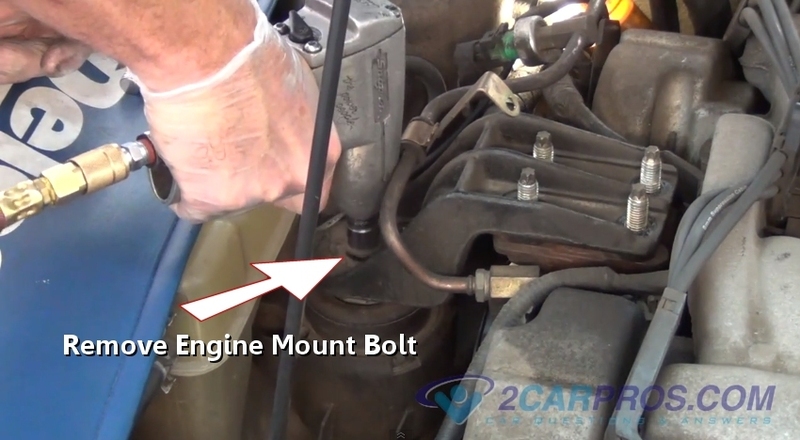 Rear wheel drive vehicles can omit step 1 through 4. 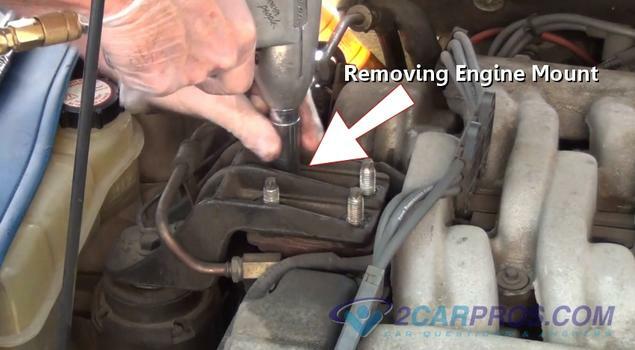 Step 2 - Once the engine is safely supported, remove engine mount retainer nuts. Step 3 - Next, remove the main engine mount bolts, the engine will become loose during this step. 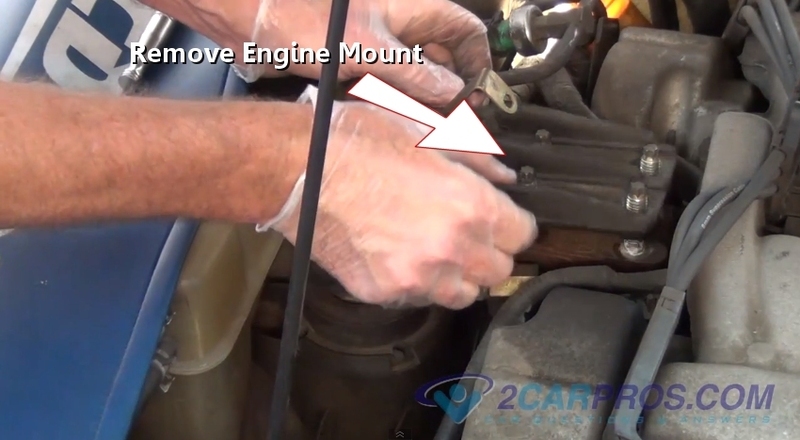 Step 4 - Once all mounting bolts and nuts have been removed the engine mount can be removed. 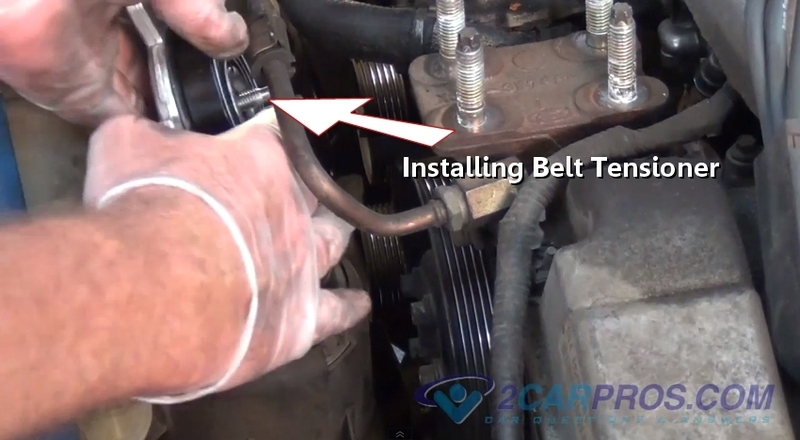 Step 5 - While releasing the belt tensioner with a ratchet or breaker bar, remove the serpentine belt. 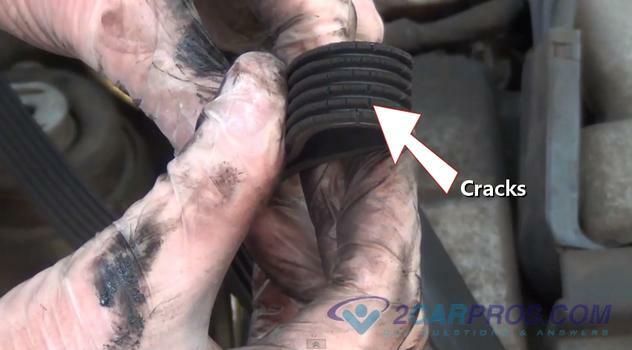 Step 6 - After the belt has been removed inspect the belt for cracks which indicate the belt should be replaced. 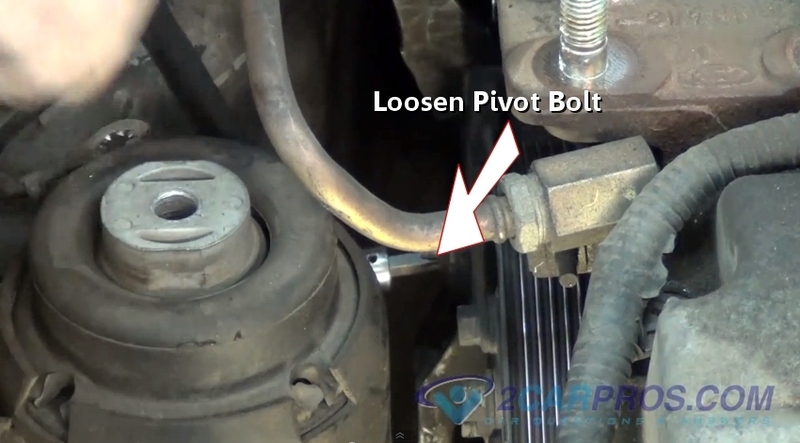 Step 7 - Next, loosen the tensioner pivot bolt using a ratchet. Step 8 - Once the pivot bolt has been removed, lift the tensioner from the engine compartment. 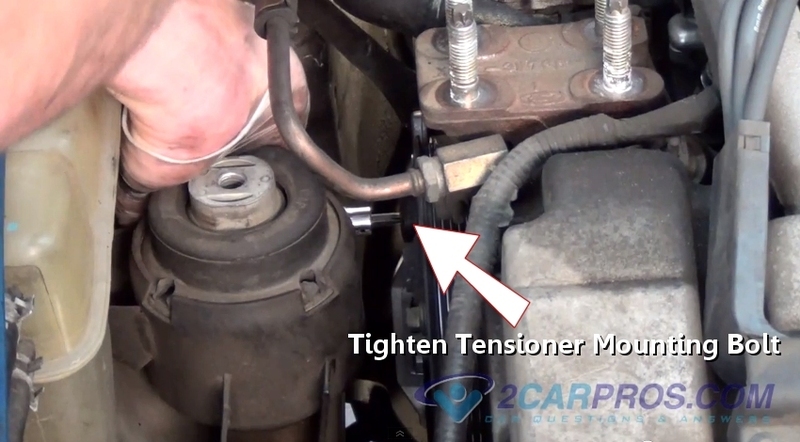 Step 9 - After the tensioner has been removed inspect worn areas. 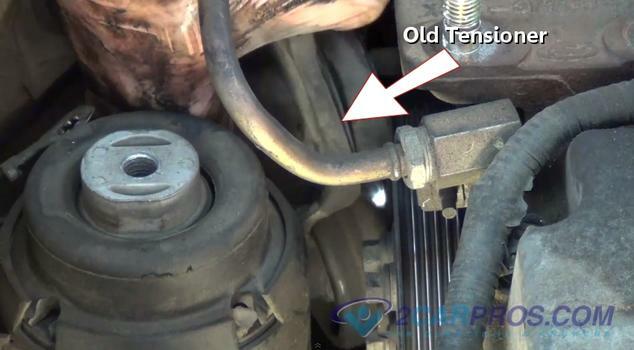 Step 10 - Compare the old serpentine belt tensioner to the new unit. 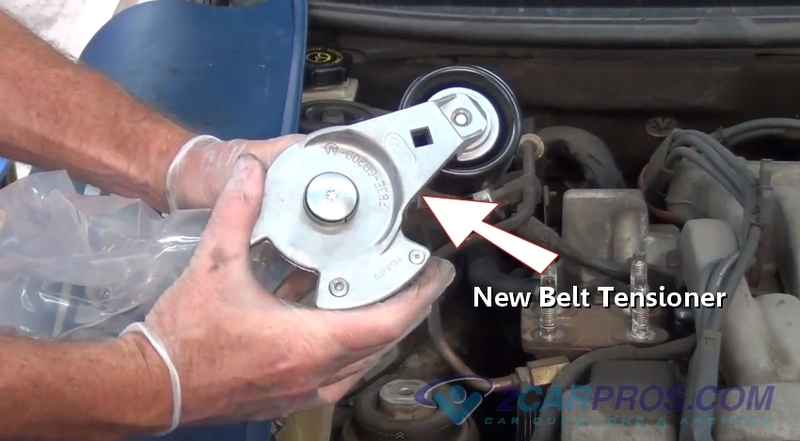 Step 11 - Next, install the new belt tensioner onto the engine. Step 12 - After the bolt has been installed, use a ratchet to tighten the mounting bolt. 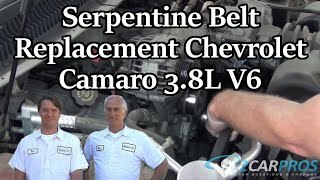 Step 13 - It's a good idea to replace the old serpentine belt with a new belt. 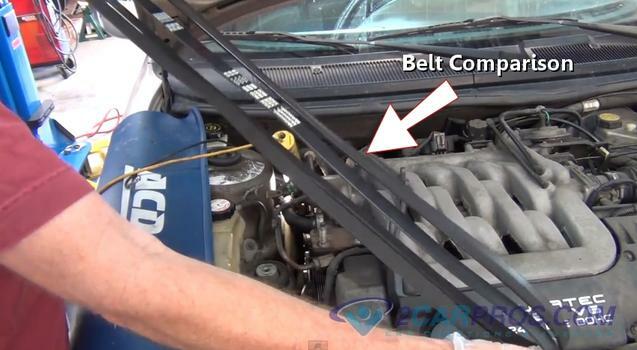 Compare the old belt to the new belt before installation. 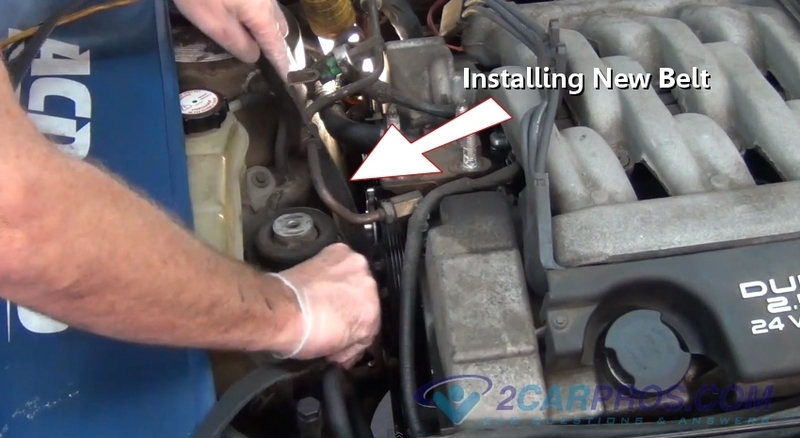 Step 14 - Once the comparison is complete, install the new serpentine belt. 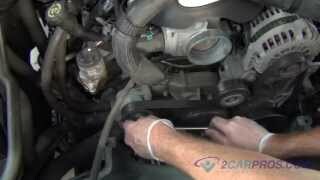 After the belt is installed, reattach the engine mounts by reversing the order in which it was removed. Inspect the belt after installation is complete to ensure all routing on pulleys are correct. Belt tensioners keep a constant pressure on the belt, when they wear they will allow the belt to roll off the tensioner causing belt failure. When the spring tension is lost in a failed tensioner it will cause squeaking especially under acceleration. 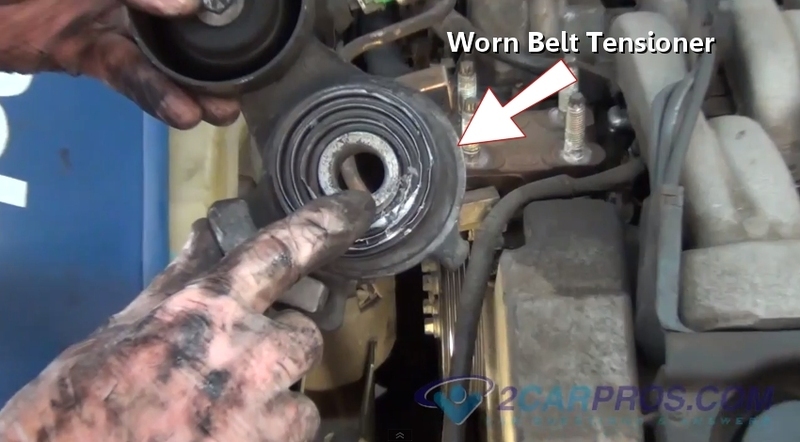 A belt tensioner is a normal wear item and should be inspected regularly. 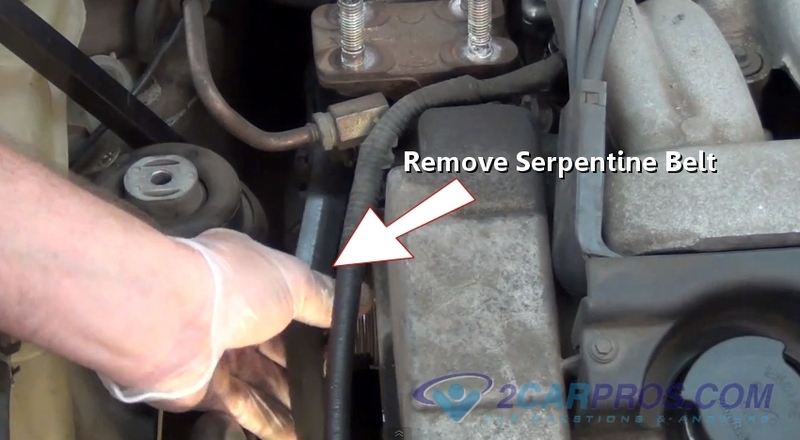 Replace serpentine belt when replacing a tensioner. Once the belt is removed check the rotation of free wheeling pulleys such as the alternator to detect failed bearings.